The unmanned aircraft Global Hawk flew above hurricanes Gaston, Hermine, Karl and Matthew and in front of Hurricane Nicole, deploying sondes — probes that automatically transmit information about surroundings. (TNS) — Cherokee Nation Technologies has a unique partnership with the National Oceanic and Atmospheric Administration and NASA to support hurricane forecasting and damage assessment. The collaborative effort has been using the unmanned aircraft Global Hawk to fly above hurricanes Gaston, Hermine, Karl and Matthew and in front of Hurricane Nicole. The unmanned aircraft deploy sondes, probes that automatically transmit information about surroundings. 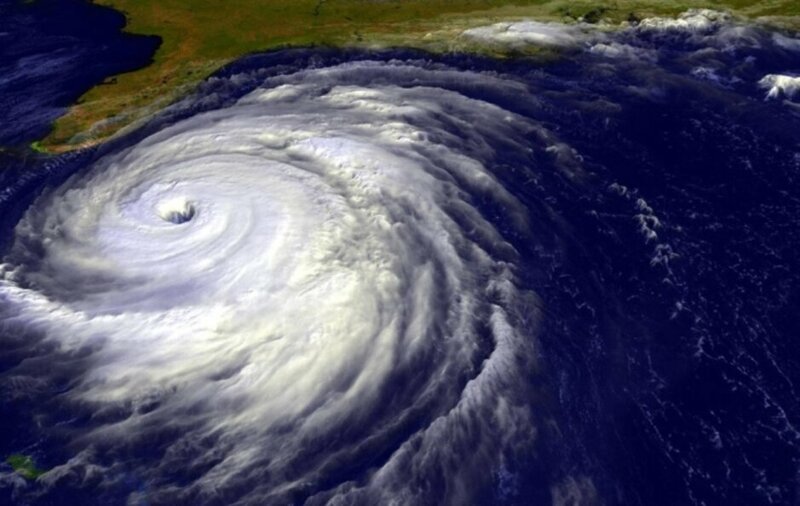 Forecasters use data collected by the high-flying unmanned aircraft to assist in predicting the intensity and path of current and future hurricanes. Cherokee Nation Technologies provides NOAA services in science, technology and operations, including program management, systems engineering, data management, testing and evaluation. JC Coffey, a retired naval aviator and now executive director of unmanned systems for Cherokee Nation Technologies, said in a phone interview the missions performed by NOAA’s UAS Program’s Sensing Hazards with Operational Unmanned Technology Team, also known as SHOUT, provide forecasters at the National Hurricane Center in Miami with real-time, vertical meteorological observations, which are being used to get better forecasts on pending hazardous weather events and to increase the continuity of satellite data. The unmanned aircraft teams also work closely with the manned C-130 Hurricane Hunters, Coffey said. The Hurricane Hunters are aircrews that fly into both Atlantic and Pacific storms to gather weather data. Currently, the U.S. units that fly these missions are the U.S. Air Force Reserve’s 53rd Weather Reconnaissance Squadron and NOAA’s Hurricane Hunters. A summer of SHOUT Hurricane Rapid Response missions shows 12 unmanned flights were conducted in total, with nine specifically called “science flights.” Some 656 sondes were deployed over the course of 239.2 flight hours from July 28 to Oct. 10. During Hurricane Matthew, the teams flew three consecutive flights and deployed 168 sondes over the course of 73.2 hours, a record 90 of those sondes being deployed in one flight, the mission report states. The Global Hawk’s capability to scan large areas of the ocean has also proven to be beneficial as an observing platform for environmental assessment and forecasting. A smaller unmanned aircraft system also recently used aerial imagery to access post-storm damage in Georgia after Hermine passed through the area. The images were immediately provided to the local Emergency Management Agency and National Weather Service. Last summer, the Global Hawk flew over Tropical Storm Erika, resulting in the first time its real-time weather data was implemented into hurricane models around the world to assist in forecasting a tropical storm. Coffey has worked in the Department of Defense as an “acquisition professional.” He joined CNT in 2014 specifically to expand and advance the company’s capabilities in unmanned systems. Since 2009, Cherokee Nation Technologies has been serving government clients on software and application services, network services and business process services. The company is headquartered in Tulsa, with a regional office in Fort Collins, Colo. Client locations are nationwide.